If you've got a cat that's a roamer or even a little Houdini among your pets, you know the importance of having a good pet tracking device. Some dogs can't wait to make a break for it at the very first opportunity that presents itself. From the moment they disappear, each passing minute can be agonizing until they're home again safe. Many people rely solely on microchip technology for a pet tracker, but the sad reality is that it's not always enough. Unfortunately, it's been reported that these implants aren't always scanned or are often overlooked when pets are turned in. There's even been allegations that those very same microchips could have the potential for causing cancer. While the known benefits of a microchip far outweigh the possible risks at this point, good intentions aside, a microchip is not the only answer when it comes to pet tracking. That's why it's important to have a backup plan when it comes to your pet's safety. Currently, there are plenty of good devices on the market for keeping your pet safe, should he or she get lost, and improvements are made to them almost daily. With that in mind, let's explore the latest new release in a popular pet GPS tracker that is currently No. 1 on Amazon for cats and dogs. 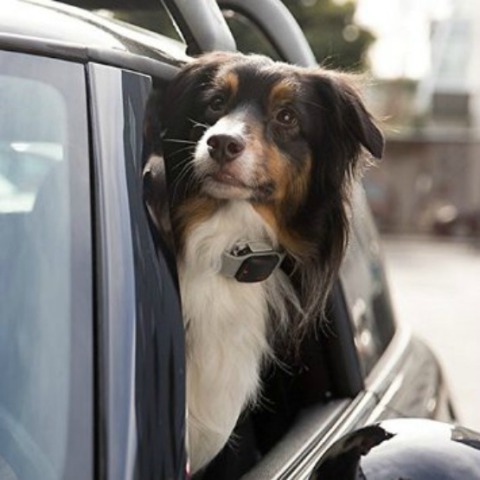 The Tagg GPS Plus Pet Tracker lets you set your pet's "home zone" and notifies you if they wander off using its award-winning GPS location tracking system. This means you set the parameters on how far your pet's allowed to roam before the system alerts you to a possible boundary breach. These notifications can come via app, text and e-mail alerts. Coast to coast, you'll get nationwide coverage with Tagg's pet tracker. It uses cellular and GPS technology to pinpoint your dog or cat's location anywhere in the U.S. that includes maps and directions, should you ever need them. Health features on the device will allow you to track your pet's activity and rest times, giving you valuable information regarding their behavior and possible insights as to their health. It's even going to include an air temperature sensor. This new feature will monitor your pet's surroundings and alert you when they get too hot or cold (feature released in July 2015). The older models can't do that. First off, its not a collar. It's a lightweight (1.16 ounces) attachment that fits securely to your pet's existing collar that works with a free mobile web app. The waterproof tracking attachment runs on a Li-Ion battery and communicates with a docking station using shortwave radio frequency. Should your pet wander off, Tagg uses advanced GPS location tracking and the nation's largest wireless network to help you find your pet anywhere in the U.S. The best part about it is being able to see exactly where they're at on a map and being able to act on it, versus sitting there helplessly and waiting for someone to notify you that your pet has been turned in somewhere. It's really a more proactive approach to pet safety that puts you in control. 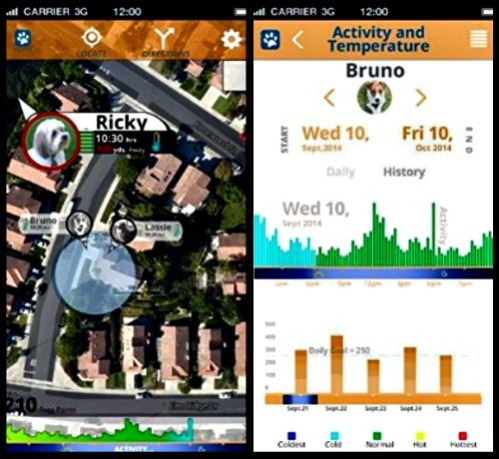 With on-demand notifications, users of the system can create customized notification alerts for themselves and various contacts, access their pet's profile, view the tracker’s battery status and more. If you have more than one pet, trackers and service are available at a discounted rate for your second through ninth pets. 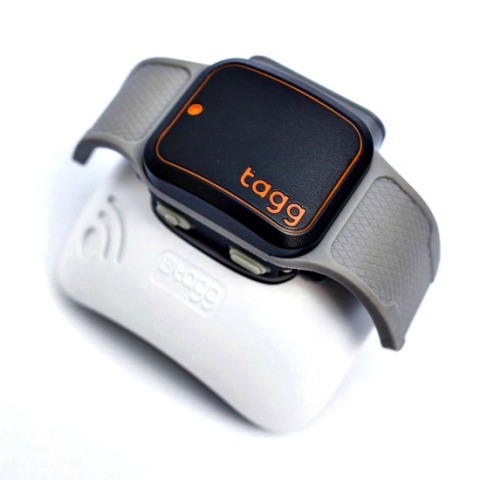 The Tagg GPS Plus Pet Tracker is currently priced at under $120 and comes with one Tracker, one charging base station, collar clip assembly, a power kit and a quick start guide. Purchase of the device includes 30 days of free service. While the app for Android and iPhones is free, the device requires a service plan as low as $6.95 per month to be selected at the time of activation. The unit is available on Amazon. New Jersey Becomes First State With Pet "Seat Belt Law"